Yield: Makes 2 to 4 servings. Nettleaid is a health tonic that is sure to quench your appetite for flavour as well as drenching your body with nutrients. Place the water in a pot and bring to a boil; then reduce to a simmer. Add in the stinging nettles and allow to simmer for about 20 minutes. Once cooled, add in the juice of one lemon and add turmeric for colouring. Add in as much maple syrup or honey as desired for sweetening. 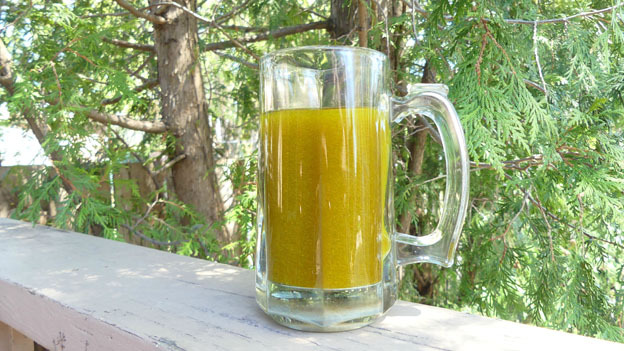 If you choose not to use turmeric for colouring, this drink will not look too appealing even though it tastes good. Let sit in the fridge until cold then enjoy.